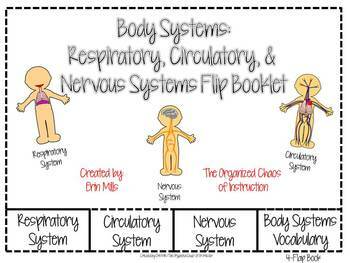 This download contains flipbooks that provide students with the opportunity to show what they have learned about the circulatory, respiratory & nervous systems. 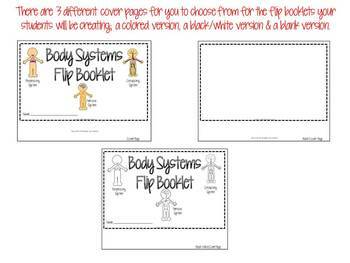 There are 3 versions of the flip booklet to allow for differentiation for your diverse learners, as well as color & black/white printables. Grading rubrics have also been included. 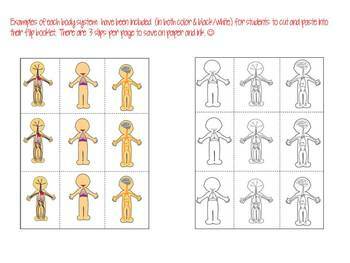 Each flip booklet requires the students to illustrate (or cut/paste the picture provided) and label each body system. Next, students will identify the organ(s) that make up each body system. Finally, students will identify the function of each body system. The differentiated versions of each flip booklet have been shown in the sample. Version 1-This is a simple and effective outline to help students that need more concise directions. 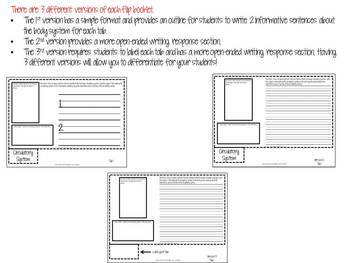 Version 2-This version provides students with a more open-ended form of writing response. Version 3-This version requires students to label each tab and provides students with a more open-ended form of writing response.